Widely regarded as the goddess of Chicana feminism, I count myself among the many who for generations have been nourished by her writings, advocacy, and intellect. She is a true force of nature and national treasure. And I am so happy and proud to call her my friend. In a library filled with the sounds of shuffling books and beeping scanners, librarian and Chicana activist Martha Cotera found the words she needed to fuel her movement. Cotera, a major figure in the Chicana feminism movement, is best known for her activity in La Raza Unida and for her hundreds of published works. La Raza Unida was a Texas-based political party that promoted the election of Mexican-American officials and was a significant part of the Chicano civil rights movement in the ’70s. During her time with the party, Cotera began to recognize the marginalization of Chicanas within the Mexican-American community and published many works detailing the need to address sexism within that context. Cotera said her work in Chicana feminism would not have been possible without the services provided by educational institutions. Her identity as a librarian led her to address issues of representation in academic contexts, such as the exclusion of certain community documents from colleges and libraries. Cotera’s most popular book, “Diosa y Hembra,” provides a history of Chicanas in the U.S. and is a key piece of literature in the Chicana Feminist discourse, but it isn’t available on the shelves of Austin’s public libraries and can only be found in the Austin History Center archives. Cotera’s 35-year career as a librarian and as an archivist at the Benson Latin American Collection gave her the experience she needed to help run the Chicana Research and Learning Center, which she co-founded in 1974. UT alumna Brenda Sendejo, an anthropology professor at Southwestern University, said the creation of the center started a dialogue between the Chicana community and Austin’s universities. The center, which received materials such as newspapers from the Chicana community, provided UT with the resources necessary to create a Chicana Studies curriculum. “Chicana Studies had already begun to emerge by the mid-1970s, but it didn’t really become established until it got incorporated into college courses,” Sendejo said. Beyond the realm of academia, Cotera said many feminists have personal stakes in libraries. Here, feminists discovered stories about Our Lady Guadalupe addressing San Juan Diego with assertive statements and used this evidence to associate her with feminism. For the predominately Catholic Chicana population, this provided a symbol of empowerment grounded within the epistemological framework of spirituality. Cotera said the struggle to free symbols from their oppressive history and turn them into feminist icons is critical to promoting feminism. Emilio Zamora, a history and Mexican American studies professor said this Chicana feminist tactic is grounded in the Mexican-American penchant for history. Cotera said the social change that Chicana feminists rely on is only made possible through sufficient resources. I'm happy to be quoted in this piece by KUT.org. I am disappointed, however, in our community members and leadership not showing up, and not even sending me an email or any kind of notification why they didn't show up. I know it's a busy time. It's a very busy time for me, too. My hopes are that we ourselves—particularly as self-proclaimed community leaders—get involved in AISD Board matters. Minority students represent nearly 75% of all of our students. I am not at all disheartened by the outcome of the board election (see below). In fact, I'm more motivated and genuinely interested in working with and helping the board than I ever have been. Please, do not tell me to run for office. My sincere preference is for all of us to take the "good medicine," as well, and get more involved. Incoming Trustee Cindy Anderson is sworn in by outgoing Trustee Gina Hinojosa. 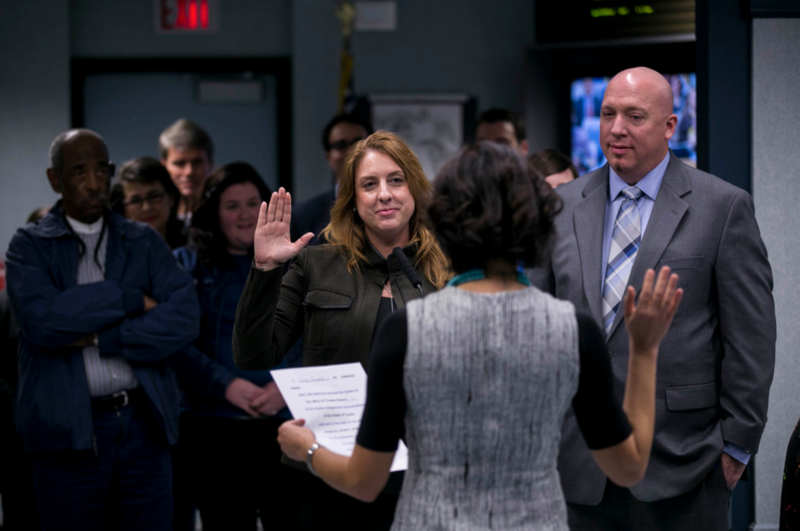 Austin School Board members bid farewell Monday night to former school board Trustee Gina Hinojosa who was elected to the Texas House of Representatives on Election Day. The start of Monday night's Board meeting was bittersweet. As Hinojosa said goodbye to other board members, she encouraged the board to continue to advocate for students across the city. “My hope for this board is that that you recognize and use your privilege and authority to continue to grapple with the hard stuff, the policies that will work to create a more just, vibrant and thriving community – policies that will give opportunities to our students to become leaders, not just workers," Hinojosa said. The board welcomed Trustee Cindy Anderson to replace her in the District 8 at-large position. Anderson says she hopes she can live up to her predecessor. “And I hope that I can do her justice in serving all students in AISD and ensuring every single child has the opportunity to have the phenomenal education that my children had in this district," Anderson said. Anderson served on a variety of district boards and committees over the last decade, including the Austin Council of PTAs. With the new member in place, the board started its other work for the night, including elections for board officers—president, vice president and secretary. Leading up to those votes, there had been some push to get the board to elect board Vice president Paul Saldaña as President. Last week, UT Austin Professor Angela Valenzuela sent an email to various members of the Latino community urging them to support Saldaña. In the end, just two people showed up during public comment in support of Saldaña. During public comment, Valenzuela says the board needs a leader who will prioritize dual-language programs. Board President Kendall Pace took to Facebook this week to defend her stance on dual-language programming. Pace has said she wants to better monitor how well dual-language programs are working — a comment some in the AISD community took as Pace questioning the need for dual-language — a sentiment she denies. After two hours of closed door deliberations, Pace was unanimously re-elected Board President by her fellow trustees. Trustee Yasmin Wagner said the board decided to stay the course. Paul Saldaña remained board Vice President and Julie Cowan remained board Secretary. Albeit imperfect, this is not the multiracial, multinational democracy into which I was born, but rather the opposite, namely, one that is extremist, right wing, xenophobic, and fascist. Without question, this country is in unchartered territory. People across the country continue to express themselves in despair. Others in fear. Some panic, while still others prepare. Of course, many have staged numerous protests from coast to coast. In response to the aftermath of the elections, some 150 college and university presidents have banded together to express their concern regarding the rise in hate crimes across the country. 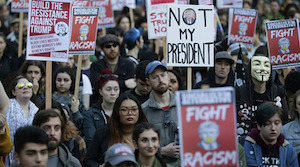 The unexpected presidential results have emboldened racial supremacists and misogynists across the country, including on the campuses of colleges and universities nationwide. At the same time, professors from coast to coast are also speaking out, including via the American Association of University Professors (AAUP), who have denounced the racial incidents and hate crimes which are happening not just at colleges and universities, but also at K-12 schools. They have also come out in support of the idea of sanctuary campuses for undocumented students. While a colleague, Angela Valenzuela at the University of Texas at Austin, speaks of watching a documentary on the rise of Hitler and its striking similarities with today’s political situation, hundreds of Jewish scholars of Holocaust history call on Americans to mobilize in global solidarity against the president-elect. This also includes a call by some 200 national human rights organizations that are calling upon President Obama to dismantle whatever is left of the National Security exit-entry registration system (NSEERS), which during the President George W. Bush Administration, was used to track Arabs and Muslims in this country, yet resulted in zero terrorism convictions. The denunciation of this program has also come from the Council on Arab Islamic Relations (CAIR). The architect of NSEERS, Kris Kobach, appears to also be on track to have a prominent role in the president-elect’s cabinet. He purportedly is proposing something similar, though not limited to Arabs or Muslims, thus prompting that joint call. Kobach, not coincidentally, was the architect of Arizona’s anti-immigrant SB 1070 legislation, a state measure that was copied by many states across the country. This is but two weeks after the elections and yet all the signs are ominous, beginning with the selection of Steve Bannon, a racial extremist who previously led Breitbart News, as chief strategist and senior counselor to the president-elect. As he continues to choose the rest of his cabinet, all the signs point towards extreme right-wing consolidation, including the likes of Maricopa County Sheriff Joe Arpaio and ex-Arizona governor, Jan Brewer. All this has been taking place while the inhumane, brutal and unprecedented assaults against the water protectors at Standing Rock continue to shock the world’s conscience. Despite the president ordering the halting of the construction of the Dakota Access Pipeline, which is slated to traverse through four states, he has done little in the past several months to both stop its building, nor has he stopped the violence against the water protectors. And prospects do not look good regarding this issue, as the president-elect is a strong supporter of oil drilling and energy deregulation. Amid this chaos, those from communities most at risk, the undocumented, including DREAMERS, continue to prepare for the worst, yet their leadership remains undaunted. In fact they continue unafraid. This includes a Caravan of Courage and march from New York to Washington DC (Nov 22-24), led by the national Dream Action Coalition. Throughout the country, walkouts, in support of K-12 DREAMERS have also taken place, especially in cities such as Los Angeles. Come Inauguration Day, January 20, 2017, when we can expect not simply massive protests in Washington, D.C., but nationwide, also to be expected will be more student walkouts at colleges and universities and K-12 schools throughout the country. The question of course will be, what will happen the next day? Actually, a nationwide protest by women will also converge on the capitol on Jan 21. Without question January 20-21 will most likely amount to an unprecedented national general strike. But again, what will happen the following day? Not being a soothsayer, it is not certain anyone can predict what happens thereafter. However, what can be predicted is that some sectors of society will withhold recognition of the incoming administration. Many will express the sentiment that if the administration treats certain sectors of society as less than human, then this administration will forever be seen as immoral and illegitimate. It appears that the only certainty that we can count on is uncertainty, and that is not necessarily in regards to the incoming administration because the president-elect appears to be doing precisely what he promised. The uncertainty is how those that have been targeted will continue to react. Not to be forgotten is that the president’s challenger has reportedly won the popular vote by 1.7 million thus far and the gap may reach 2 million. Governance in this environment is again, uncharted territory. Dr. Roberto Rodriguez is an associate professor in Mexican American Studies at the University of Arizona. I've covered white privilege on this blog. Here's some tongue n' cheek from a white guy, John Kelso, who writes for the Austin American-Statesman. I wonder how the alt-right would peg him. As a race traitor? Just guessing. Kelso: What’s so special about being white? It’s time to come clean. I’m a white guy. You probably already knew that, but with these alt-right guys telling us that being white is exceptional, I figured it was time to let the cat out of the bag. Funny thing is being white doesn’t make me feel exceptional. In fact, it doesn’t really make me feel anything. I’m white. So what? This whiteness has been going on for quite some time. I was born white in 1944 and I’ve been white ever since. But for some reason I don’t see anything special about it. Exceptional? OK, so I’m a pretty good writer, but I’m certainly not Hemingway or Steinbeck. I used to be good at pingpong. Oh yeah? Tell that to the ancestors of Sitting Bull and see how far it gets you. By the way, while Spencer was speaking, some people in his audience were doing the one-armed Dr. Strangelove Hitleresque salute. Great. How to make friends and influence people, right? “I had to wait in line this morning at Starbucks for my latte,” said an Austin oncologist who has been white for as long as anyone can remember. Then there’s the problem of driving while white — in my case made worse by the fact that I’m an old fart. Which means I’d have to run over a nun before a cop would bother to pull me over. If I never get stopped by a cop, how in the heck am I supposed to know when I have a taillight out? Then there are these two young white people I know who just moved into a new home. They’ve discovered that their laundry room is small and cramped. These are the sorts of difficulties we whites have to face on a daily basis. Not that there’s anything wrong with being white. Some of my best friends are white. Although over the years, I’ve noticed that the preponderance of jerks I’ve met happened to be white people. I attribute this in part to the fact that most of the people I hang out with are white and that there are more white people around than there are people of other backgrounds. Which is why we call them minorities. So the odds of being a jerk in Texas are stacked against white people. I know what you mean, lady. I encourage you to read today's piece on NAFTA by Sean Collins Walsh in the Austin American-Statesman that dovetails well with the items I just posted on a post-work society. NAFTA will not only significantly impact Texas, but capitalism's unquenchable thirst for cheap labor probably means not that manufacturing jobs will return to the U.S. (where they would get automated anyway), but that other, more-distant, exploitable labor markets would be secured. "In 2015, Texas companies exported $92 billion in goods to Mexican and imported $84 billion in goods from Mexico, according to the Census Bureau." Fossil fuels, including natural gas are by the far the largest exports. What would help overall is if the "tweaking" of NAFTA that Mexican President Peña Nieto seems willing to do, results in a strengthening of labor laws so that folks aren't compelled to migrate due to low wages earned in NAFTA-related industries. This is a complex set of circumstances that require careful thought and consideration going forward. 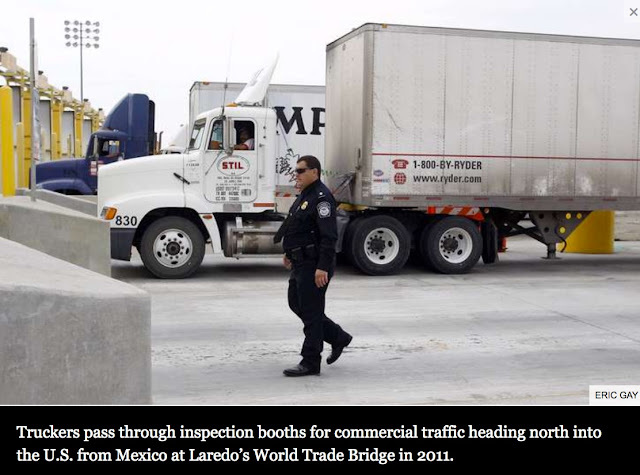 About 4.9 million American jobs depend on trade with Mexico, including 382,000 in Texas. NAFTA is unpopular in the Rust Belt, but has boosted the Texas economy. President-elect Donald Trump has promised to change or withdraw from NAFTA. This piece by Derek Thompson that came out in The Atlantic, is a long, but very worthwhile read. It came out in 2015 and I think speaks to the angst that drove support for both Bernie Sanders and Donald Trump. 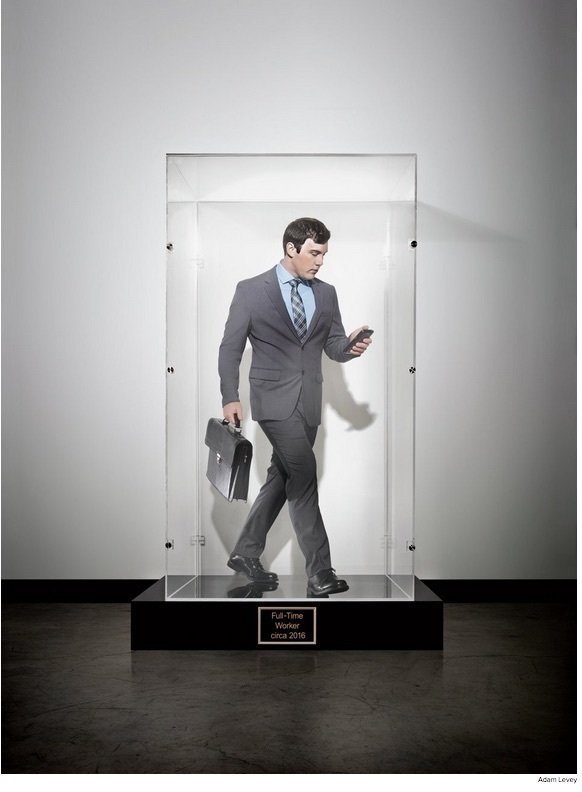 "The U.S. labor force has been shaped by millennia of technological progress. Agricultural technology birthed the farming industry, the industrial revolution moved people into factories, and then globalization and automation moved them back out, giving rise to a nation of services. But throughout these reshufflings, the total number of jobs has always increased. What may be looming is something different: an era of technological unemployment, in which computer scientists and software engineers essentially invent us out of work, and the total number of jobs declines steadily and permanently." So an important takeaway is that instead of scapegoating immigrants, we need to take an unblinking look at what has truly been an elimination of jobs largely due to automation. In a surprisingly hopeful way, this thoughtful piece engages theoretical frameworks and empirical data pertaining to employment trends to explore different ways that a post-work society could work. It also marshals alternative visions of a post-work society pertinent to consumption, communal creativity, and contingency. What this piece fails to do is articulate what these macro-level shifts in production mean for women and minorities at the micro-level and their corollary impacts on how we are to relate to each other in a post-work society, not only within our intimate social relationships, but also across our social, racial/ethnic, and socioeconomic divides. Nor does it fully take on the capitalistic rhetorical drumbeat ("promise") that capitalism equates to happier and more fulfilling lives (otherwise called "the American Dream") despite evidence of growing pathologies related not just to job loss, but to the system itself—emphasis here on "the drumbeat." These include, but are not limited to, domestic violence, alcoholism, drug addiction, constant stress, mental illness, and so on. With the idea of a "digital WPA," it presents a nuanced look at the role of social policy that uses technology while hearkening back to the Works Progress Administration of the 1930s that helped rebuild the nation’s infrastructure in the wake of the Depression. It nevertheless point to an emergent alternative value system in the wake of disappearing jobs and a fundamental economic restructuring of society that could serve as a starting point for conversations throughout the U.S. that are either plagued by under-employment and unemployment on how to create new vistas for fulfilling and rewarding lives in a post-work society. Much food for thought at an important moment in our history. Self interest should count in the education of Hispanics and is to our peril as a country if this does not become a national priority. 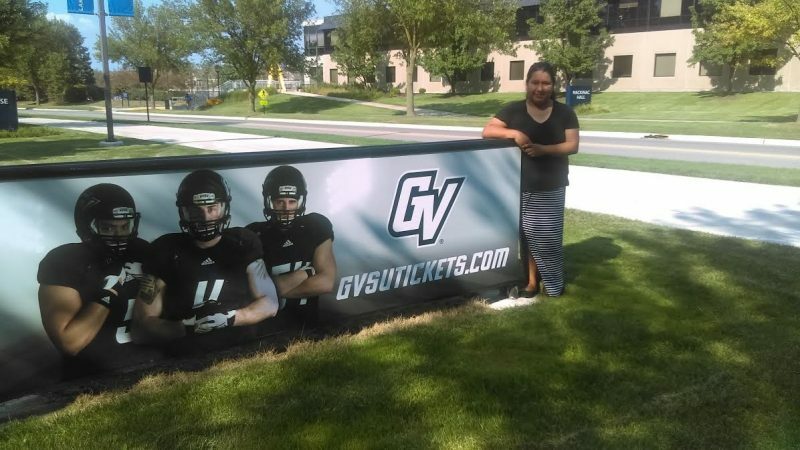 Daughter of Mexican immigrants, Cristina Nino-Zavala begins this fall at Grand Valley State University in Michigan, where she’s majoring in engineering with a minor in business. New research shows that failing to get more Hispanics to go to college will lower incomes for all Americans. With eye toward equity, schools in low-income, black neighborhoods try controversial approach. Part 1 of 2. November 21, 2016 Washington—In Ivonne Kendrick’s classroom at Houston Elementary School, 3-year-olds sit cross-legged in a circle, listening to their teacher sing about the fall season. “Llega el otoño tras el verano,” (Autumn comes after summer), they repeat after her in Spanish. One month into the school’s new dual-language program, their accents are unmistakably American. But they know how to ask for a manzana, or apple, at snack time and recognize that when Ms. Kendrick says “fila,” that’s their cue to form a line. The next day, the students will continue their lessons in English, alternating between the two languages throughout the week. Houston is a low-performing school in the Deanwood neighborhood of Washington. Its dual-language program is the first to be offered in the area east of the Anacostia River, home to the city’s two poorest wards. The school’s student body is almost entirely African-American. With bilingualism linked to enhanced academic and social skills, educators say dual-language programs can be used to narrow the achievement gap and equip underserved students for a future in a competitive workforce. Houston is one of a growing number of schools targeting bilingual instruction to black children in low-income areas. Its Spanish-English program opened at the preschool level this school year. Jimell Sanders, a Houston parent and co-founder of the nonprofit D.C. Language Immersion Project, said there is growing demand for dual-language programs in D.C., with as many as five kids on the waiting list per available slot. And it isn’t just parents in the wealthier Northwest neighborhoods – where a high concentration of such programs are located – who want in. The United States Department of Education defines dual-language programs as “a type of bilingual education program in which students are taught literacy and academic content in English and a partner language,” often Spanish or Chinese. There are at least 2,000 of these programs in US schools, experts say — up from about 260 in 2000 . On Nov. 8, California became the latest state to embrace dual-language learning , voting to undo the provisions of a 1998 law that had mandated that learning be “overwhelmingly in English.” The growth has largely been driven by advocacy from white, affluent families, as well as by districts responding to an influx of immigrant students. Meanwhile, schools in metro areas like Miami and Philadelphia and smaller cities like Urbana, Ill., among others, have started programs in predominantly black, low-income neighborhoods to ensure students from all backgrounds have the opportunity to become bilingual. This approach can be controversial, as Joe Wiemelt, who directs bilingual and multicultural programs in central Illinois’ Urbana School District 116, witnessed firsthand four years ago. When a proposal to expand the district’s bilingual offerings to a school that was 85 percent African-American was presented to the school board, it sparked debates in the community about issues of race. Many wondered whether these students were “the right fit for dual-language,” Mr. Wiemelt says. The motion to start a dual-language program at the school eventually passed by a narrow 4-to-3 vote. “One of the arguments levied against African-American children, especially in the poor areas where the dual-language programs are springing up, is that, ‘Well, these kids don’t speak standard English anyway, and we need to work on their standard English,’ ” says Howard Smith, a professor of bicultural-bilingual studies at the University of Texas, San Antonio. It’s a common argument, even among educators. Katarina Brito, a bilingual program developer for D.C. Public Schools, said some would rather see schools ensuring students are proficient in reading and writing in English before teaching those skills in another language. But research shows dual-language programs may actually enhance students’ learning in English. A multiyear study of students enrolled in two-way dual-language programs in North Carolina between 2007 and 2010, found that low-income black children in these programs scored higher in reading and math than their classmates of the same race and socioeconomic background who were being taught in one language. By fifth grade, these students were reading as well as their monolingual peers in the grade above them, according to the study conducted by George Mason University researchers. Based on this research, Ms. Brito sees dual-language programs as a viable intervention for students who are struggling in school – not just as enrichment for children who are already performing at grade level. But she acknowledges there are challenges. “When you’re talking to a principal who is looking at the school full of kids who are struggling academically, it’s hard to say, ‘And now bring in this really complex, hard-to-manage program with very limited resources and convince all your parents,’ ” she said. Houston Elementary fits the profile of a struggling school: Just 12 percent of students in third, fourth, and fifth grade last year met expectations on the districtwide standardized math test, and 6 percent met expectations in English language arts. Nelson Flores, an assistant professor of educational linguistics at the University of Pennsylvania, points out that dual-language programs are not a panacea. 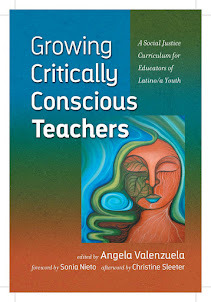 Challenges like staff turnover and low levels of parent engagement, typical in high-poverty schools, can be exacerbated in a dual-language setting, when teachers must have bilingual skills and parents, often working multiple jobs, are not able to help their kids with schoolwork — especially in a language they don’t understand. In order for dual-language programs to be successful in these settings, schools have to address broader issues such as teacher quality and wraparound services for families in need, Flores said. At the same time, he believes dual-language programs in majority-black classrooms can embrace students’ cultural and linguistic backgrounds, engaging them in ways traditional schools haven’t. For example, at the brand new Independence Charter School West in Philadelphia, which is 85 to 90 percent black, Flores has been working with staff to ensure that the experiences of black native Spanish speakers are represented throughout the dual-language curriculum. These programs can also do a better job of affirming variations of English “than a monolingual program that hasn’t really thought about the value of linguistic diversity,” Flores says. Way to attract more students? Sanders and her colleagues at the D.C. Language Immersion Project hope Houston’s new program will make the campus more attractive to families considering their elementary school options through D.C.’s school choice program. “In the past, anybody socioeconomically advantaged who lived in the Deanwood community would have crossed Houston off their list,” said Vanessa Bertelli, Sanders’s co-founder and executive director of the organization. And, long-term, the advocates hope that students will see more opportunities for themselves as they enter a workforce in which the demand for multilingual skills is growing. For Sanders, more dual-language programs at schools like Houston are good news for kids like her 3-year-old daughter Layla, who is already singing Spanish songs from Kendrick’s classroom at home. She wants Layla to be able to be “at the table” someday, leading discussions in the workforce and in a global society – conversations, Sanders says, that won’t always happen in English. This story was produced by The Hechinger Report , a nonprofit, independent news organization focused on inequality and innovation in education. Read more about early education . Learning should be schools’ goal, not proficiency: In Nebraska, we hear a lot about learning and proficiency, as measured by NeSA testing, as if they were the same. My sources are telling me that the election was indeed stolen, but not by the Russians and that that's a distraction and that you can read for yourselves about it here in this piece by investigative reporter, Greg Palast. Glad to see that Palast's investigative reporting has brought this to light. Here is a link to his movie titled, The Best Democracy Money Can Buy. Donate to the Palast Investigative Fund and get the signed DVD. This is a sad day for our fragile democracy. Rent it or buy Greg Palast's movie from Amazon or Vimeo. Rent or buy the film from Amazon or Vimeo. “Greg Abbott is the point in the spear of intentional discrimination in Texas. He should have spent his time at the memorial ceremony apologizing for his sorry and shameful record of intentionally attacking and undermining basic civil and voting rights of millions of Texas citizens." Important read. I think that we should all join Sen. Lindsey Graham (R-S.C.) and reach out to our leadership and call for an "a full-fledged congressional investigation that holds public hearings and releases its findings to the citizenry." In his recent book, The Plot to Hack America , national security expert Malcolm Nance wrote, "Russia has perfected political warfare by using cyber assets to personally attack and neutralize political opponents…At some point Russia apparently decided to apply these tactics against the United States and so American democracy itself was hacked." It's up to Capitol Hill to protect American democracy. Despite all the news being generated by the change of power underway in Washington, there is one story this week that deserves top priority: Russian interference in the 2016 presidential election. On Tuesday, the director of the National Security Agency, Admiral Michael Rogers, was asked about the WikiLeaks release of hacked information during the campaign, and he said , "This was a conscious effort by a nation-state to attempt to achieve a specific effect." He added, "This was not something that was done casually. This was not something that was done by chance. This was not a target that was selected purely arbitrarily." If the FBI, CIA, and other intelligence agencies are digging into the Russian effort to affect US politics, there is no guarantee that what they uncover will be shared with the public. Intelligence investigations often remain secret for the obvious reasons: they involve classified information. And law enforcement investigations—which focus on whether crimes have been committed—are supposed to remain secret until they produce indictments. 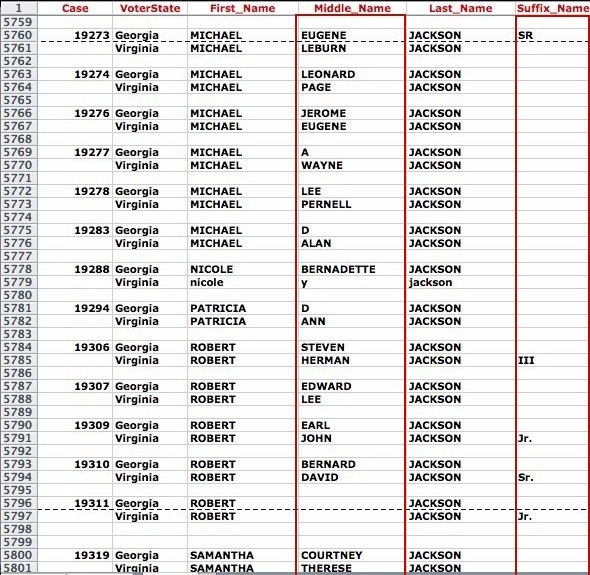 (And then only information pertinent to the prosecution of a case is released, though the feds might have collected much more.) The investigative activities of these agencies are not designed for public enlightenment or assurance. That's the job of Congress. There already is much smoke in the public realm: the hacking of the Democratic National Committee, the Democratic Congressional Campaign Committee, and John Podesta, the chairman of Hillary Clinton's campaign. Also, Russian hackers reportedly targeted  state election systems in Arizona and Illinois. Coincidentally or not, the Russian deputy foreign minister said  after the election that Russian government officials had conferred with members of Trump's campaign squad. (A former senior counterintelligence officer for a Western service sent  memos to the FBI claiming that he had found evidence of a Russian intelligence operation to coopt and cultivate Trump.) And the DNC found evidence  suggesting its Washington headquarters had been bugged—but there was no indication of who was the culprit. In his recent book, The Plot to Hack America , national security expert Malcolm Nance wrote, "Russia has perfected political warfare by using cyber assets to personally attack and neutralize political opponents…At some point Russia apparently decided to apply these tactics against the United States and so American democracy itself was hacked." Yet there is a huge difference between an FBI inquiry that proceeds behind the scenes (and that may or may not yield public information) and a full-blown congressional inquiry that includes open hearings and ends with a public report. So far, the only Capitol Hill legislator who has publicly called for such an endeavor is Sen. Lindsey Graham (R-S.C.). On Tuesday, Graham, who was harshly critical of Trump during the campaign, proposed  that Congress hold hearings on "Russia's misadventures throughout the world," including the DNC hack. "Were they involved in cyberattacks that had a political component to it in our elections?" Graham said. He pushed Congress to find out.